Russia has entirely fulfilled the contract on delivering the S-300 air defense system to Iran in 2016, according to the head of Rostec Corporation Sergey Chemezov. Chemezov confirmed this during a meeting with Russian President Vladimir Putin in the Kremlin. One of the most complicated deals in recent years between Iran and Russia has thus been successfully accomplished. Russian S-300 systems are now part of the Iranian air defense. Shoeib Bahman, an Iranian political analyst looked at how Iran and Russia will continue their military-technical cooperation in the future and what other projects the two countries are ready to discuss with each other. “The implementation of the contract for the delivery of the S-300 air defense system was complicated however, after the problems were solved, the contract was successfully fulfilled. This created a favorable ground for expanding and developing new directions of military-technical cooperation between Iran and Russia, taking into account the fact that our countries have common goals and interests in regional and international politics,” Bahman said. He further said that given the level of confidence that Iran shows to Russia, it is possible to forecast the implementation of new projects between the two countries along military terms. “In the past six months, there have been active ongoing negotiations regarding Iran's purchase of other weapons from Russia, such as the Su-30 multipurpose fighter, as well as the modern T-90 tanks,” Bahman said. According to him there is a constant exchange of delegations and negotiations being held with the producer companies. “In Iran, there is a great interest in continuing collaboration with Russia in military-technical terms and purchasing of more weapons,” the analyst concluded. 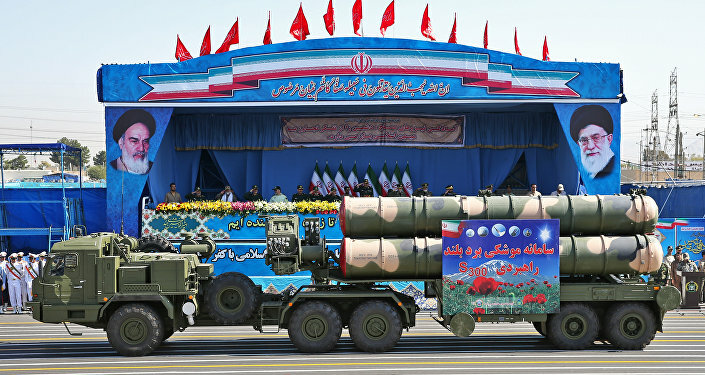 Earlier last week, Iranian Ambassador to Russia Mehdi Sanaei said that the deliveries of Russia's S-300 missile systems to Iran reflect the trust level in the countries' bilateral defense cooperation.